■Arai M, Shiratani T, Shimizu MS, Shimizu H, Tanaka Y , Yanagisawa K : Remote rebound-effect of resistive static contraction of lower trunk on the flexor carpi radialis H-reflext. Proc. of 19th ISEK Cong. 455, 2012. ■ Arai M, Shiratani T, Shimizu MS, Shimizu H, Tanaka Y , Yanagisawa K : Remote rebound-effect of resistive static contraction of lower trunk on the flexor carpi radialis H-reflext. Proc. of 19th ISEK Cong. 455, 2012. ■ Arai M, Shiratani T : A comparative study of the neurophysiological remote effects of different resistive static facilitation techniques on the flexor carpi radialis H-reflex. Current Neurobiology 3(2): p98-102, 2012. 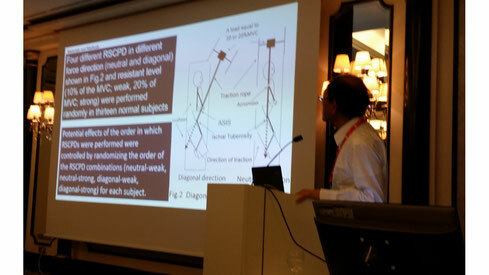 ■ Arai M, Shiratani T : Neurophysiological study of remote rebound-effect of resistive static contraction of lower trunk on the flexor carpi radialis H-reflex. Current Neurobiology 3(1) : p25-29, 2012. ■ Arai Mitsuo, Shiratani Tomoko, Kuruma Hironobu. The effects of different force directions and resistance levels during unilateral resistive static contraction of the lower trunk muscles on the ipsilateral soleus H-reflex in the side-lying position. J Rehabil Med (suppl 54). S416. 2015. ■Shiratani T, Arai M, Kuruma H, Masumoto K. The effects of opposite-directional static contraction of the muscles of the right upper extremity on the ipsilateral right soleus H-reflex. J Bodyw Mov Ther. 2017;21(3):528-533. doi: 10.1016/j.jbmt.2016.08.004. Epub 2016 Aug 12. ■Shiratani T, Arai M, Kuruma H, Yanagisawa. The effects of a static contraction of pelvic posterior depression on the brain activities induced by a fMRI in the normal volunteers. 8TH International Society of Physical & Rehabilitation Medicine (Cancun) 2014. ■ Shiratani T, Arai M, Kuruma Ｈ, Nitta O, Matsuda T,Yanagisawa K. A comparison of the movement directional related activity of antagonist resistance exercises using fMRI. J Rehabil Med (suppl 54). S416-S417, 2015. ■Arai M, Shimizu ME, Tanaka Y, Yamakou T, Tatsumi M, Yanagisawa K: Determine the least amount of work load inducing irradiation of the affected rectus femoris considering the degree of knee flexion of the affected side. 13TH INT'L CONGR WCPT Proceeding, 371, 1999. ■ Arai M, Shimizu H, Shimizu ME, Yanagisawa K, Tanaka Y: Effects of the Use of Cross-education to the Affected Side through Various Resistive Exercises of the Sound Side and Settings of the Length of the Affected Muscles. Hiroshima J Med Sci. 50(3):65-73, 2001. ■ Arai M, et al.Comparison of the directional after-effects of static contractions in different positions of the upper extremity and different strengths of pinch force on the improvement of maximal active range of motion of the wrist joint in normal subjects. PNF Res 14(1):11-19. 2014. ■ Arai M, Shiratani T. Effect of remote after-effects of resistive static contraction of the pelvic depressors on improvement of restricted wrist flexion range of motion in patients with restricted wrist flexion range of motionJ Bodyw Mov Ther. 19(3) 442-446 Jul 2015. ■ Arai M, Shiratani T. Comparison of the effects of remote after-effects of static contractions for different upper-extremity positions and pinch-force strengths in patients with restricted wrist flexion range of motion. J bodyw Mov Ther 19(4) 624-628 Oct 2015. ■ Arai M, Shiratani T : The remote after-effects of a resistive static contraction of the pelvic depressors on the improvement of active hand-behind-back range of motion in patients with symptomatic rotator cuff tears, Biomedical Research 23(3) : 415-419, 2012. 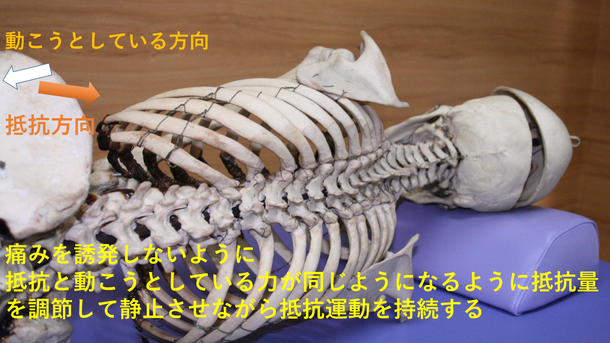 ■ Masumoto K, Arai M, Shiratani K, Akagi S, Shimizu A, Tsuboi A, Yanagisawa K, Shimizu ME : Effect of hold relax involved passive stretching of the target muscle and sustained contraction facilitation technique in the middle range of motion of PNF on the active range motion of the knee joint in orthopedic patients. PNF Res 13(1). p1-7. 2013. ■ Shiratani K, Arai M, Masumoto K, Akagi S, Shimizu A, Tsuboi A, Yanagisawa K, Shimizu ME : Effects of a resistive static contraction of the pelvic depressors technique on the passive range of motion of the knee joints in patients with lower-extremity orthopedic problems. . PNF Res 13(1). p8-17, 2013. ■ Shiratani T, Arai M, et al. Effects of a resistive static contraction of the pelvic depressors technique on the active range of motion of the knee joints in patients with lower-extremity orthopedic conditions. PNF Res　14(1): 1-10. 2014.